For those with a Body Mass Index (BMI) above 40, weight-loss surgery may be an effective way to take weight off, and keep it off. While many people are able to maintain a healthy weight through diet and exercise, those who continue to have difficulty managing their weight often consider bariatric surgery as an option for meeting their weight-loss goals. There are multiple options for bariatric surgery, including Roux-en-Y Gastric Bypass, where the size of the stomach is reduced, and Vertical Sleeve Gastrectomy, where a portion of the stomach is removed. Both surgeries provide a safe option for losing weight: the risks of bariatric surgery are significantly less than those of remaining obese. Over a five-year period alone, weight-loss surgery improves a person’s quality of life by 95 percent, and reduces the risk of premature death by 90 percent. Those outcomes are driven by the sheer quantity of obesity-related conditions that weight-loss surgery can help manage or cure. Excessive weight contributes to serious maladies such as sleep apnea, cardiovascular disease, hypertension, and even stroke. Obesity also can make other health issues more problematic, including gastroesophageal reflux disease, gout, osteoarthritis, infertility and even depression and migraines. Trying to decide if weight-loss surgery is right for you? Attend a free weight-loss information session presented by Cooper’s Bariatric and Metabolic Surgery Center. For those with severe obesity, nonsurgical methods of weight loss are often not effective, which often makes bariatric surgery an option to consider for meeting weight-loss objectives. Today’s minimally invasive procedures offer faster healing, less-noticeable scars and a quicker return to normal activities than in the past; even when complications arise, they can be quickly addressed by surgeons and nurses if follow-up care is maintained. Health insurance often covers weight-loss surgery for patients, so people who believe they may be candidates should feel confident scheduling their initial consultation. Each plan has its own set of rules with which candidates must comply before moving forward. If you’re considering bariatric surgery, the first thing you should do is make an appointment with a highly regarded surgery team for a thorough evaluation to determine if you are a candidate for surgery. Once a determination is made, consulting with your doctor about your long-term goals is key to deciding which type of surgery will be most effective for you. To ensure the highest quality care, ongoing communication between your bariatric surgery team, primary care physician and other medical specialists will be essential throughout the entire process. Bariatric surgery is a tool to help people lose weight safely and effectively, but it’s only a step in the weight-loss journey. After weight-loss surgery, people should expect changes in lifestyle, such as reduced portions, along with regular follow-up care. The best care options provide additional support such as nutritional consulting, tailored exercise plans, one-on-one counseling and support groups to help share experiences. South Jersey and Philadelphia-area residents are fortunate to have Cooper University Health Care’s Bariatric and Metabolic Surgery Center, an accredited center of excellence by the Metabolic and Bariatric Surgery Accreditation and Quality Improvement Program, near by. 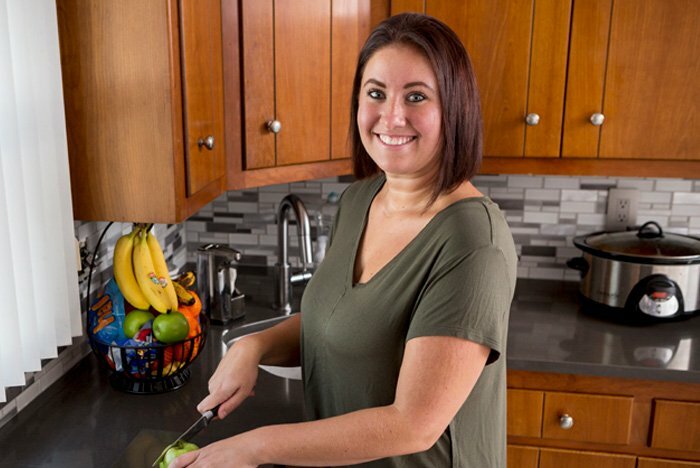 Each relationship at Cooper begins with a thorough consultation process, which carefully accounts for the unique goals of each patient and allows Cooper to develop a tailored weight-loss plan. The Cooper team has completed more than 2,000 weight loss surgeries using their multidisciplinary approach: experts ranging from bariatric surgeons to dietitians to physical therapists work with a patient from their initial consultation through ongoing follow up. Potential patients who wish to learn more about how Cooper can help may join an informational webinar, or make an appointment online.